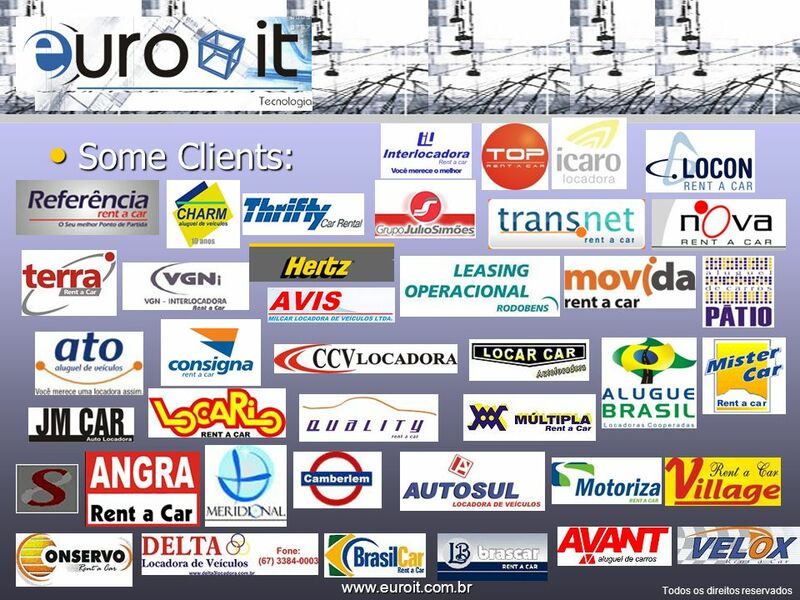 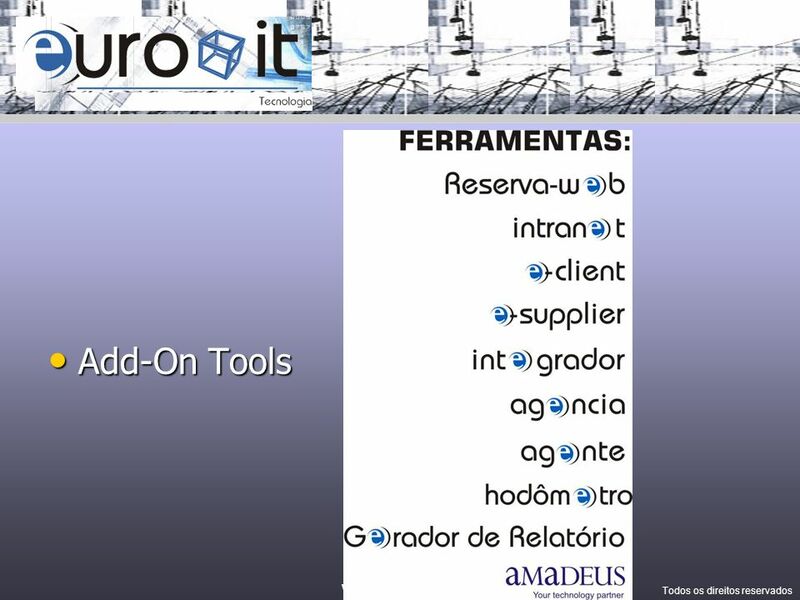 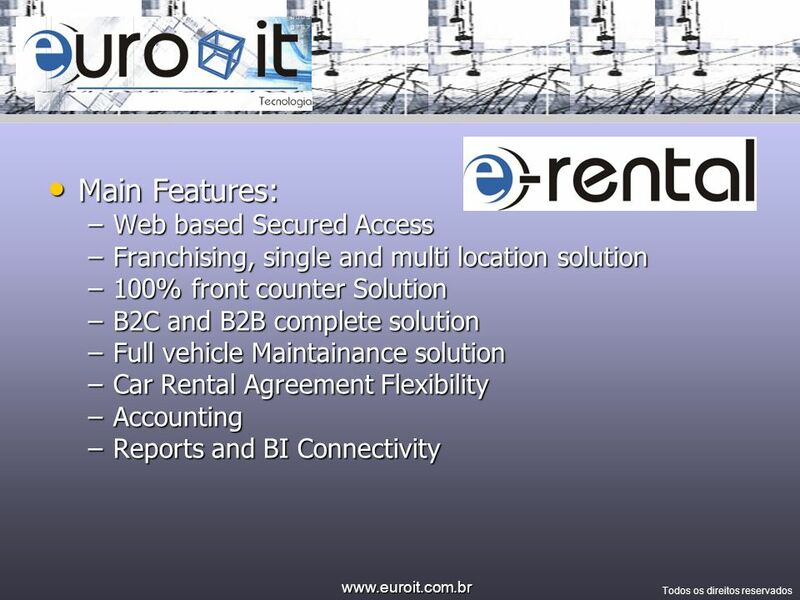 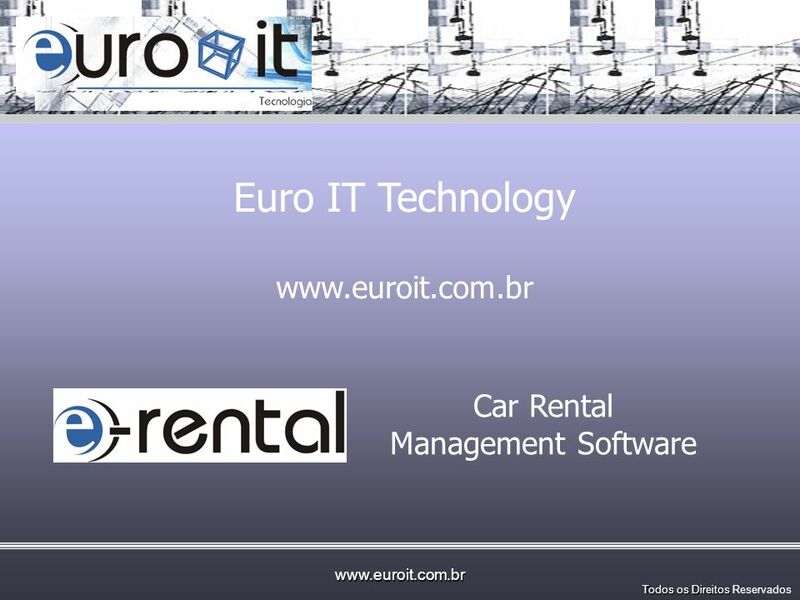 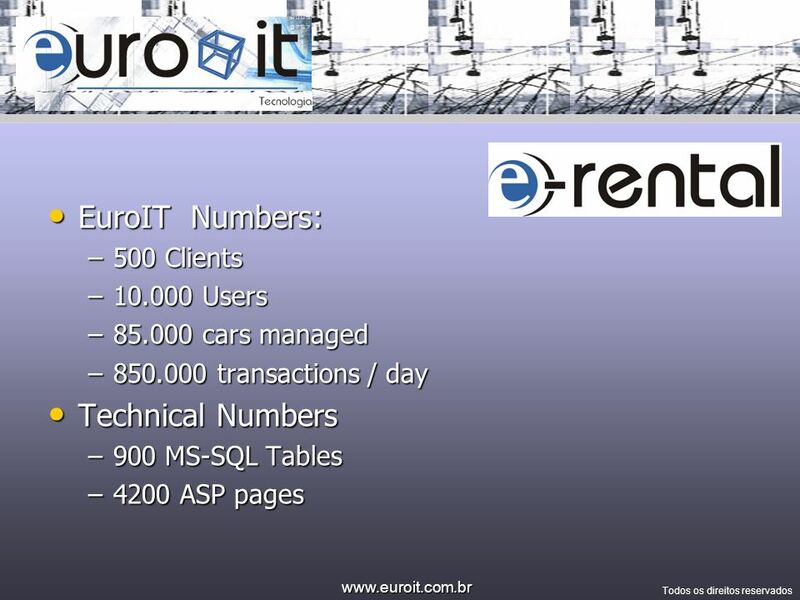 Carregar ppt "Euro IT Technology Car Rental Management Software"
THE COMPANY Close to reaching the 50th anniversary of its incorporation, Cheim Transportes, with its modern management, aims at guaranteeing stability. 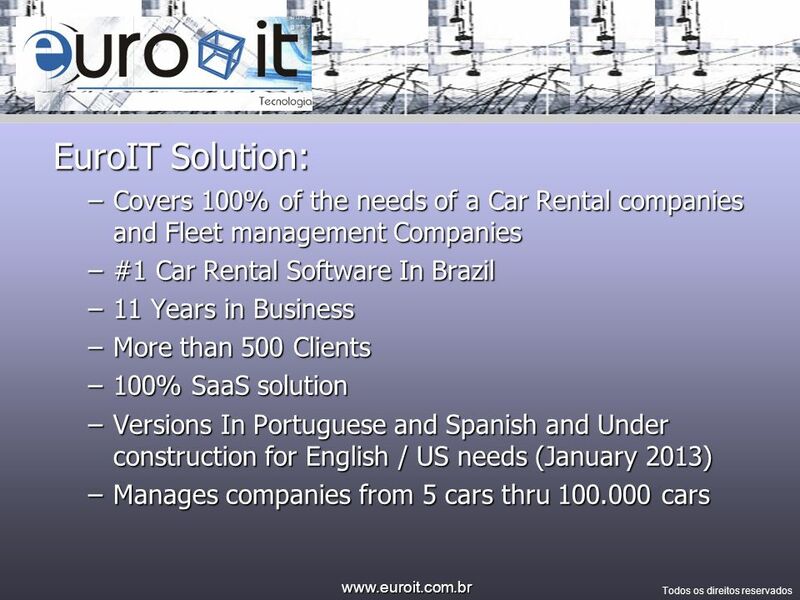 AEROPORTO NO JAPÃO. 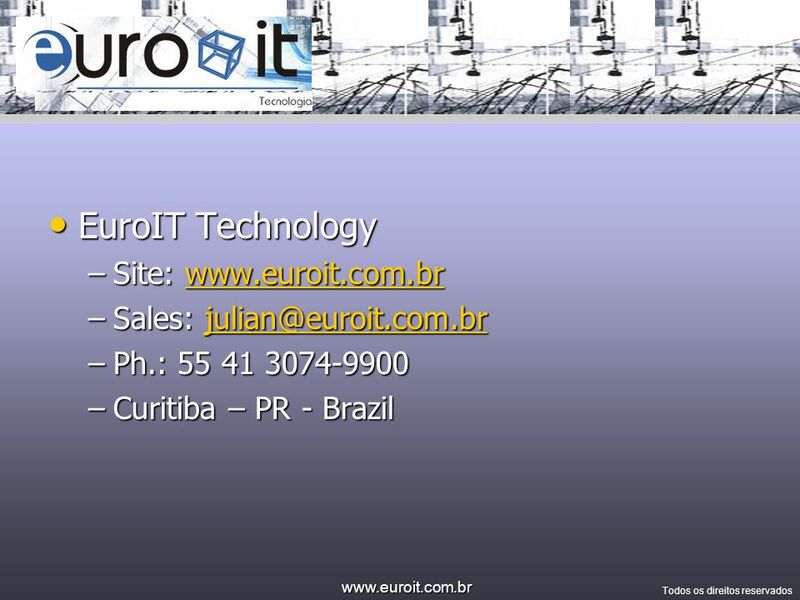 VEJAM SÓ, "ILUMINADOS" ENGENHEIROS DESTE PAÍS, QUE NÃO CONSEGUEM FAZER UM TÚNEL DE 150 MTS NO TERREIRO DO PAÇO SEM METER ÁGUA, NEM.